Plot - Story is about the changes occurs in the life of Harold when he meet Maude at a funeral. A 20 year old man/child Harold who is depressed, death-obsessed and spend his free time attending funerals and pretending to commit suicide in front of his mother to get the attention of his indifferent and egocentric mother. Harold meets a 79-year old woman named Maude and became inseparable friends and helped each other at each and every situation whatever comes in their life. 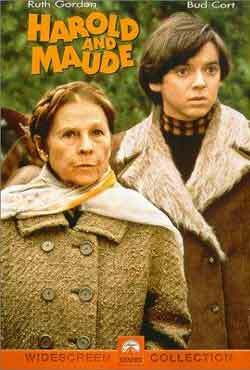 Awards & Nominations Won by "Harold and Maude Movie"
Box Office Earning of "Harold and Maude"